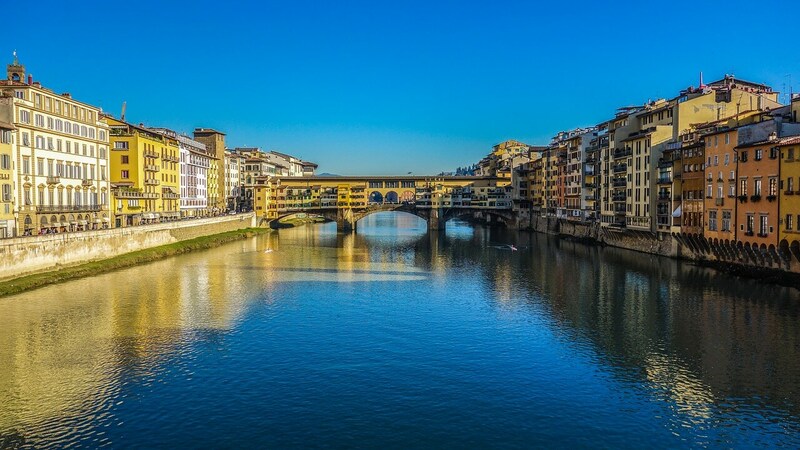 Spanning the Arno River, Ponte Vecchio connects Florence with the rest of Italy. Some people travel to Ponte Vecchio as the connection between the modern times and the Romantic times represented by Florence. Ponte Vecchio in itself is an architectural and engineering marvel. It is a feat of mankind that has stood since the 13th century. It has seen its fair share of history and personalities. It has seen improvements and additions to its structure that has added to its ever-expanding character. Archievald was marveled in Ponte Vecchio, what is unique with the Ponte Vecchio is that there are shops built along its structure. Whereas other bridges are simply passageways for pedestrians in transit, travel to Ponte Vecchio upgrades it to a whole new level. The bridge itself is clean and well maintained but what sets it apart are the number of stalls that call it home. We’re not talking about itinerant stores and peddlers, we’re taking about established stores with a well-founded tradition of high quality and exquisitely crafted products. We’re talking about shops that have served royalty, seen the changes in history and have lasted decades and centuries in existence. Yes, you read it right. Archievald saw the sea of jewelries in Ponte Vecchio. Ponte Vecchio is a haven for people who are looking for unique, one-of-a-kind, high quality jewelry and gold adornments – necklaces, brooches, tiaras, rings, bracelets and whatever jewelry you can think of. The level of craftsmanship is exquisite, the quality of the gold unmistakably high, the level of customer service, exceptional. Looking for and purchasing jewelry and/or gold trinkets from any of the shops at Ponte Vecchio is a memorable experience. It is one for the ages as the shop owners and their assistants make sure to make you feel at home. They pull out all the stops that it makes the experience so different from the rest. Their wares are elegantly crafted and definitely will catch attention. Even if you just window shop, you’ll enjoy the experience. The gold used is of the highest quality, up to 18k, so buyers are assured that the jewelry they buy is authentic and has value. The prices justify the craftsmanship and the dedication put into the jewelry by the tradesmen. 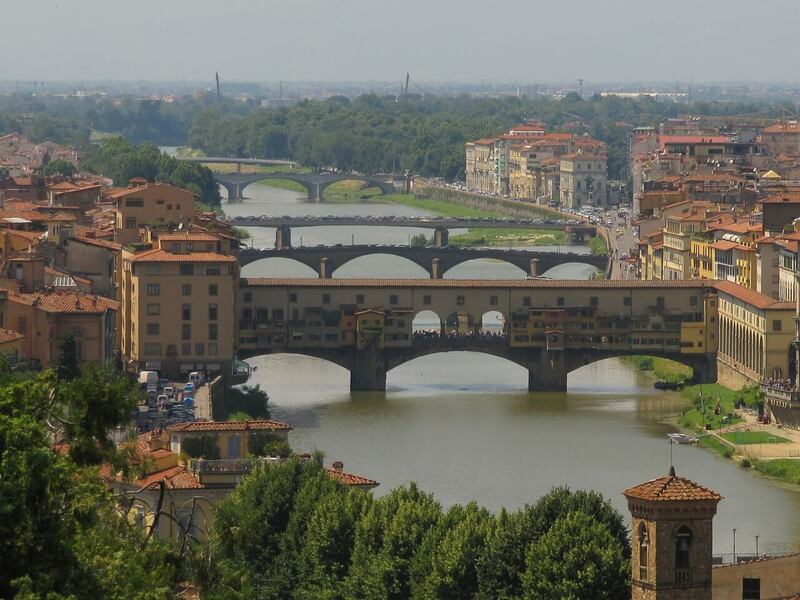 An item of jewelry bought from the Ponte Vecchio is worthy of being an heirloom piece. Ponte Vecchio has allowed some souvenir shops and low-cost or cheap jewelry shops (not really cheap) into the bridge over the years. These shops cater to tourists and locals who are looking for something to buy which do not glitter and won’t cost that much. Aside from the exquisite jewelry that women seem to love, the menfolk come over to purchase elegant timepieces from the shops. These timepieces do tell the time but they carry such a personality that their price is definitely worth it. This artisan’s hub rivals the craftsmanship of the jewelers but on a different level. With the items being sold considerably of cheaper price but of proportional quality, these artisan shops make quick business. The quality of their work is still highly commendable and tourists and locals would do well to grab a memento or two to commemorate their memorable travel to Ponte Vecchio. As it is a public bridge, Ponte Vecchio never sleeps. The bridge open 24 hours, all days of the week. It is an experience just to walk and travel the bridge, absorbing the vibe, feeling the history, imagining the events that have transpired through the years. 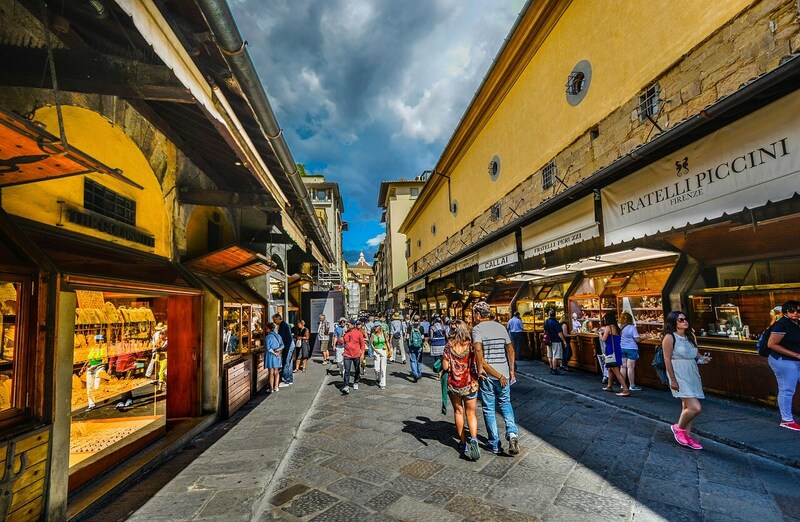 Window shopping or not, buying pricey things or simple things, Ponte Vecchio has something for everyone. 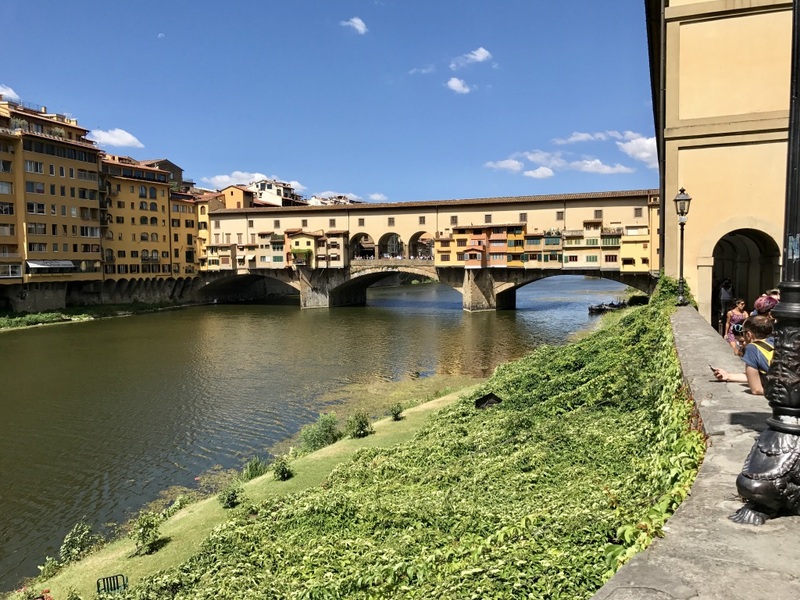 Just like in generations past, Ponte Vecchio serves as the connection between past and present, the then and the now, the modern world and the Romantic world of Firenze. It has stood the test of time and will continue to serve generations after with the same level of expertise and exquisiteness that has characterized the area.